Blaze introduces an affordable commercial style grill that was designed with your outdoor BBQ challenges in mind. This Blaze 25-inch freestanding gas grill comes with three (3) commercial quality 304 cast stainless steel burners that each deliver an impressive 14,000 BTUs of cooking power, for a total of 42,000 BTUs on the cooking surface. Durable 8mm stainless steel cooking rods maximize your searing capability on the spacious 558 square inches of cooking space. Push and turn flame-thrower primary ignition, backup flash tube secondary ignition and cross-tubes ensure a steady, reliable flame with every start. The removable warming rack is an ideal place to keep bread and other food heated while you grill. The stainless steel heat zone separators allow for different cooking zones across the grilling surface. This adds to your grilling experience, creating separate zones that can be used for different styles of cooking. The flame stabilizing grid minimizes flare-ups while you enjoy your Blaze grill and the full-width drip tray makes clean up a breeze. The stainless steel grill cart features two front doors for storing your tank, grill cover and BBQ accessories. The cart also includes four heavy duty caster wheels, allowing you to relocate the grill easily whenever necessary, and two side shelves for a convenient work area. The 304 stainless steel grill hood is double-lined to protect the outer layer from heat discoloration, keeping your Blaze grill looking shiny and new! This product is ETL certified with an ANSI Z21.58-2018/CSA 1.6 rating. Cooking Grid Dimensions 22 3/8 X 18"
Came super fast, easy to put together with my husband and myself. Fired up the first time. Like it better than our Fire Magic we had two for past twenty years. Steaks came out to perfection. Finally I decided to find a better way to buy a BBQ Grill and I'm so happy I did. I've purchased 5 grills over the years from various big box stores only to have them fall apart in under 5 years. This grill is put together great and the you can feel the quality. It has a lifetime warranty, which by the quality of the product, you'll never have to use the warranty. After a lot of confusion and misinformation (they had sent a propane grill, and we needed a natural gas grill) over which grill we received, and which parts needed to be changed, we finally got the parts we needed to instal it, and it is working beautifully. It's a great no-frills, basic heavy duty grill. best grill ever, wonderfully even heat. only complaint was the rude, indifferent delivery team. Bought this grill and cart in early June and use it at least 4 times a week. I must admit that I was somewhat hesitant about making a high end purchase on-line without ever actually seeing the product or without extensive on-line reviews. Here is my experience: Shipping was fast and cart assembly was very easy. No assemble required for the grill itself, it just sits snuggly into the top of the cart. The instructions for putting the cart together were a little lacking on details and were generic to a couple of cart assemblies w/o differentiating between them but no worries I contacted customer service with questions just to be sure and they were 1) very pleasant to deal with 2) very knowledgeable about their products 3) extremely attentive and responsive to any issues. In short, they really cared about their products and your satisfaction. I really can't say enough positive things about their customer service team and if you buy from them feel at ease that they will take care of you if you have any issues. Now for the grill - I am an avid griller (at least 4 times per week year round). Let me tell you this grill is beautiful, built to last and quite simply does a fantastic job grilling. 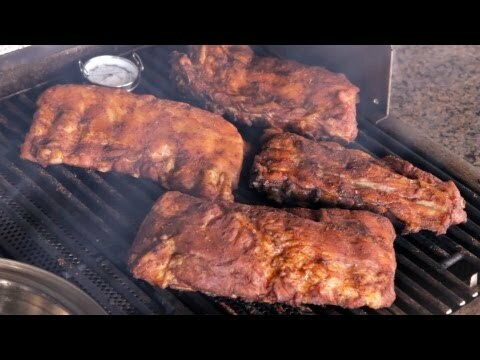 I'm really surprised at the difference in the flavor of the food now as compared to previously on my old Weber. I would have never thought the grill could/would make such a difference in the flavor but it does. I love, love, love this grill and I couldn't be happier with the quality and performance. That being said do not expect a lot of extras with this grill, it is a basic, no frills grill designed to cook food and do it well - which it does. One small nit is with the grease collection tray. While it does a terrific job collecting the grease, to clean or empty it you must pull it out of the front of the grill and risk spilling grease down onto anything sitting below it in your cart. I would recommend to Blaze to redesigh it so you don't have to pull it across the front and risk dumping grease on everything. Until then, line the grease tray with foil and allow it to coagulate before attempting to remove it. I also purchased a sear burner and smoke box for this grill and will do a quick review of these as well. Being a 3 burner grill, the sear burner takes up the space of one of the burners so you now essentially have a 2 burner + 1 sear grill. Being a small 3-burner grill I'm not sure I would add the sear burner if I had to do it again since it really has a limited use and takes up 1/3 of my grilling capacity. Also, I would say the same about the smoke box - just not sure the trade off in grilling capacity is worth it with the 3-burner grill. The sear burner works great when you use it. As for the smoke box I smoked some salmon steaks over low heat and in all honestly the steaks didn't pick up much of the smoke flavor as I'm guessing most of the smoke just escaped through the back of the grill. 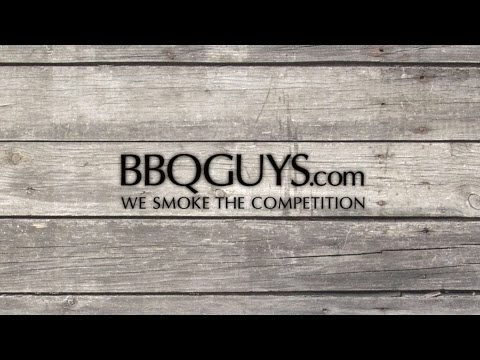 Recommendation: If you're going to get the 3 burner grill skip the sear burner and smoke box. To wrap up, if I had a do-over I would make the room for the 4 burner grill with sear burner as it give you more capacity, options and flexibility but make no mistake, I am very happy with my purchase and with Blaze and especially with their Customer Service - they made me feel like one of their own! 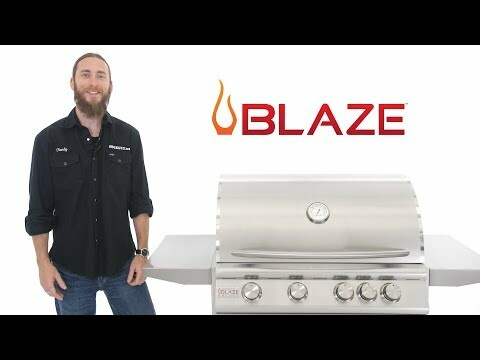 You will not be disappointed with a Blaze grill! Blaze 25 Inch 3-Burner Grill On Cart: The packaging was ok, I read that the assembly was difficult, not true, it was easy if you just take your time, and use some common sense. I have used the grill half a dozen times so far. Good quality grill parts, the cart is ok. Regarding hot-spots: The back of the burners are definitely much hotter than the front, no question about that. It cooks quickly so don't walk too far when grilling. The flare-ups are bad. Don't close the lid, you'll burn the meat even if on a low setting. Its not the height of the flames or being too hot, its the "flame stabilizers" are pretty much useless. 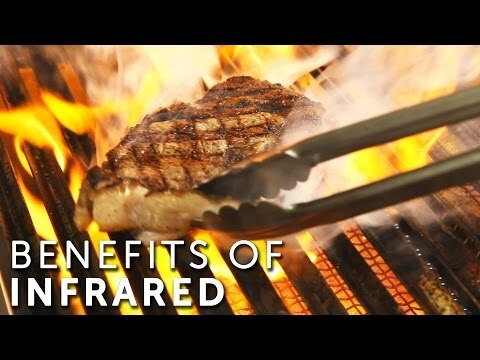 You'll need to keep moving the meat around the grill to keep it from burning because of all the intense flare-ups. I did a lot of research, I give the grill a high rating for quality of the parts used but functionally the flare-ups are a big surprise and disappointment, it negates the good quality of the grill itself and nice warranty, too bad. Have had a chance to use my grill twice since receiving it and I am very satisfied with my purchase. The quality of the grill is outstanding and everything works as it should. From ordering to delivery was a first class experience. Thanks! Can one retrofit a Blaze Profesionnal IR burner in an entry line Blaze BBQ ? 22 3/8 X 18" 22 1/2 X 16 1/2" 22 13/16 X 18 1/3" 24 X 15 3/4"